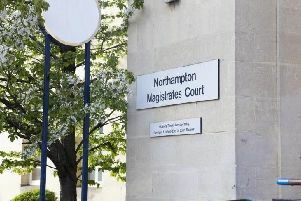 Robbers threatened staff at a Northampton mini-supermarket before taking goods from the shelves and fleeing. Three offenders went into the Tesco Express in Link Road, Kingsthorpe, at around 5am today. A police spokeswoman said staff were threatened but no-one was injured. Officers are still trying to establish what was taken from the store.